Welcome to the thirteenth issue of Vaping UK, an e-bulletin published by the UK Vaping Industry Association bringing the latest news and views in the sector. Find out about the UKVIA’s major events, policy developments and public health progress, as the industry’s leading Association celebrates its second year in action. 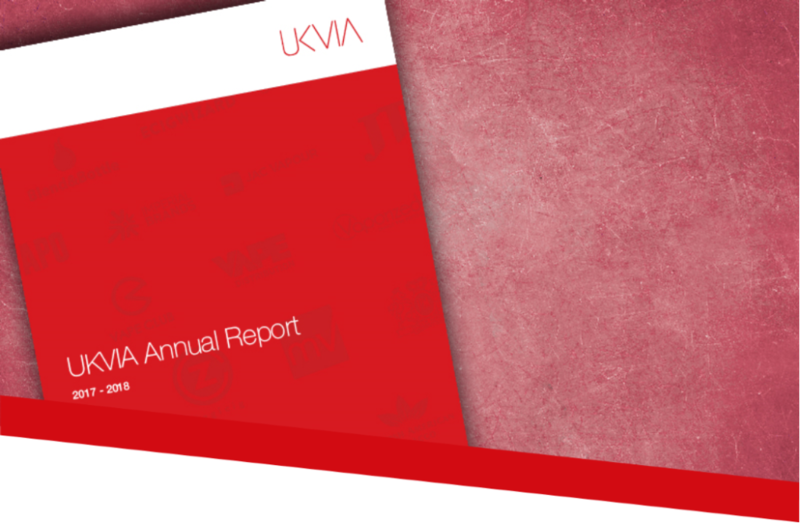 Read our latest annual report (UKVIA Annual Report 2017/18), which is now available to view and download from the UKVIA website here. The UKVIA has led an international call for the World Health Organisation (WHO) to reform its stance on vaping regulation. Organisations from 16 countries across North America, Europe, Asia and Australasia have signed the UKVIA’s call to action, making it is the first-time international campaigners and vaping industry leaders have joined forces in reforming discordant global health policies. The statement was made ahead of the 8th session of WHO’s Conference of the Parties (COP8) in Geneva (1-6 October), where their tobacco control group aimed to explore international guidance on Electronic Nicotine Delivery Systems (aka vaping products/e-cigarettes). Despite having recognised vaping’s potential for reducing smoking rates, the WHO tobacco control group took the contradictory stance in 2016 that member states could also ban vaping products outright as part of a tobacco control plan. This position is at odds with countries such as the UK and New Zealand, who advocate smokers switching to vaping as part of their harm-reduction strategies. The UAE, Philippines and Australia are also currently considering lifting their bans on vaping. For this reason, a coalition of international vaping bodies are concerned that WHO’s stance opens the door to potential vaping bans worldwide and compromises progress in countries where e-cigarettes are used as an effective harm-reduction tool. Vapers believe the WHO tobacco control group’s messaging is not only detrimental to public health, but unaccountable, least of all to the consumers, whose taxes fund but do not appear to influence its policies. 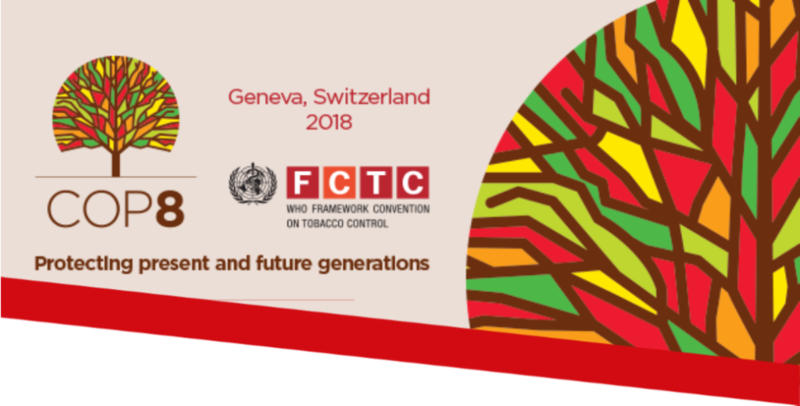 Yet in spite of attempts to engage with the WHO FCTC, including from separate consumer groups and academics, journalists and industry were shut out of the proceedings in Geneva last week. WHO FCTC spokesmen have since declared that many new products marketed as smoke-free and heat-no-burn were creating confusion among consumers, “leading them to believe that they are safer to use, even though there is no independent research confirming it.” There have also been reports that it could harden rather than reform its stance on vaping products, with a view to potentially removing reduced harm from smoking cessation policy. The UKVIA will continue to collaborate with industry across the world and engage with the WHO FCTC on its position. Its joint call to action received coverage in City A.M., the Tobacco Reporter, London Loves Business, and Vapouround, as well as a piece in the City A.M. by Michael Brader, acting president for the Vape Trade Association of New Zealand. Vaping was firmly on the agenda at Conservative Party Conference last week, with no fewer than five events competing for the chance to educate delegates and MPs about vaping’s public health potential. As always, the UKVIA seized the chance to spread the message about vaping to policy makers. Our member Logic was first out of the blocks with a lively panel debate in partnership with Dods featuring key think tanks and APPG for E-Cigarettes Chair Mark Pawsey MP. Always a great champion for the potential of vaping to help smokers quit, Mr Pawsey highlighted some of the illogical regulations imposed by the Tobacco Products Directive and his hope that the government will use Brexit as the chance to have a sensible debate about the future of UK vaping regulation. This was supported by Chris Snowdon and Daniel Pryor of the IEA and Adam Smith Institute respectively who both championed changing advertising regulations, so the industry can communicate more effectively with smokers. This was followed by UKVIA member BAT’s Vype reception; featuring a key note speech from Mark Pawsey and further commitment from BAT to keep expanding their presence in the vaping industry. But the star of the show was undoubtedly a contribution from entrepreneur Stephen Mealey, founder of our member Ziggicig, who set out his personal journey from smoker to the owner of a hugely successful vaping business. The UKVIA’s John Dunne was also again advocating the cause of the industry at a panel debate alongside the Adam Smith Institute and the New Nicotine Alliance. John explained it is his belief in the power of vaping to change smokers’ lives that is behind his decision to invest in the industry, and to appear on national media whenever possible to stand-up for vaping. And last but certainly not least, campaign group Forest hosted two debates on the effect of vaping on the future of the cigarette; including a heated debate with UKVIA member Philip Morris International as they reiterated their commitment to a smoke free future. An international collaboration of academics, public health professionals and industry leaders have for the first time defined the Global State of Tobacco Harm Reduction in a major new study. 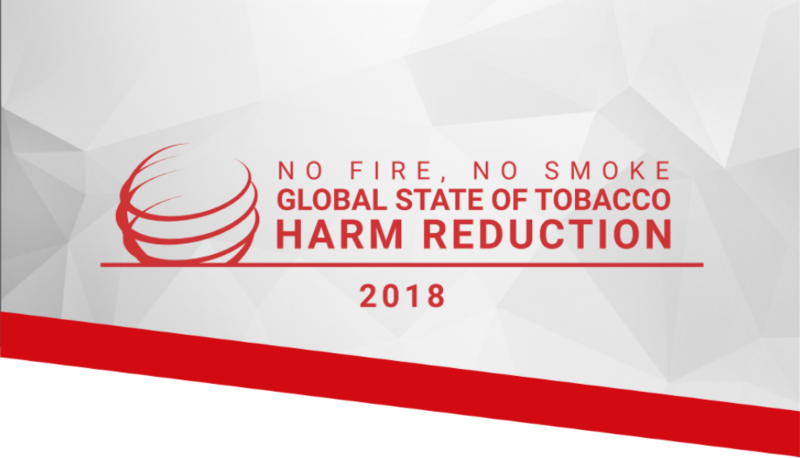 Launched at the 8th session of the World Health Organisation’s Conference of the Parties (COP8) in Geneva, the inaugural ‘No Smoke, No Fire’ report maps the global use of safer nicotine products and explores the worldwide regulatory responses and public health potential for tobacco harm reduction. The report was presented at the conference by project director, Professor Gerry Stimson, and Nancy Sutthoff, President of the Governing Board at the INNCO, who set out the report’s aim to demonstrate that nicotine products like e-cigarettes have a lifesaving potential that could revolutionise global public health. Despite the WHO’s decision to maintain its hostile stance on vaping regulation, the report was well received, with 200 COP delegates accepting copies. Drawing on expertise and statistics from across the world, the report explores global availability and prevalence of safer nicotine products and defines the evidence-based public health impact of tobacco harm reduction. UKVIA contributions to the study included discussion material from the UKVIA Forum 2018, which provided evidence for role vape shops play in supporting consumers. Commenting on the publication, a UKVIA spokesperson said, “For the first time the industry have a global picture of how vaping can implement a tobacco harm reduction strategy and benefit global public health strategy. In its 2nd year running, the London Vape Show 2018 brought hundreds of UK vaping retailers and market leaders to the capital, as the industry celebrated some of its latest vaping innovations, debated new challenges and showcased its diverse scope of business. This year UKVIA were in the speaker’s corner to chair the Great Vape Debate. UKVIA Director, John Dunne was joined by panellists Sarah Jakes and Martin Cullip from the New Nicotine Alliance, Christopher Snowdon at the Institute Economic Affairs and Daniel Pryor from the Adam Smith Institute to discuss future tax and regulatory challenges for the industry and explore how smokers can be encouraged to switch. Vape tax was a key issue on the agenda, following recent reports of a tax increase for vape products. The audience received welcome confirmation from representatives at leading economic think tanks that a ‘sin tax’ for vaping is unlikely in the UK, although 12 countries worldwide have implemented this punitive rise. Britain has got some of the lowest smoking rates across Europe, with vaping playing a key role in supporting successful quits. Against this back drop, panellists agreed that vaping in public places with consideration needs to be more widely accepted to continue to help smokers switch their habits. However, many suggested that vaping’s negative public perception will only change when advertising rules around its health benefits are relaxed. 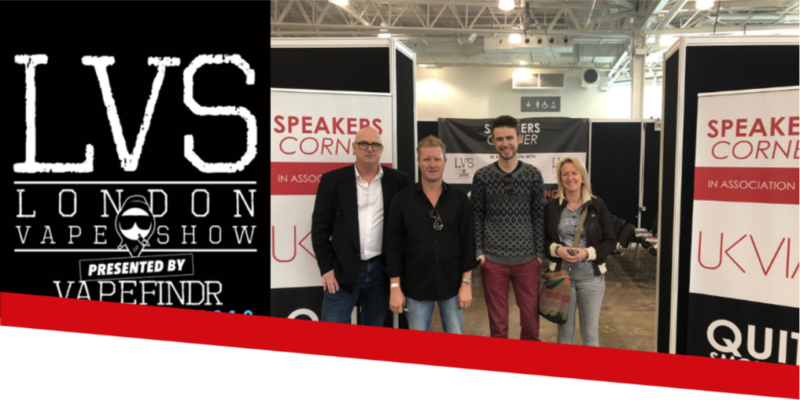 John Dunne, Director at the UKVIA said, “The London Vape Show demonstrates the fantastic growth and innovation that has defined our industry in recent years. However, maximising the public health potential of vaping in the future means that we need to face some difficult questions now. The Next Generation Nicotine Delivery Conference is back for its 5th year to address some of the latest topics and trends in the vaping market, with an exciting line up of speakers from across the industry. 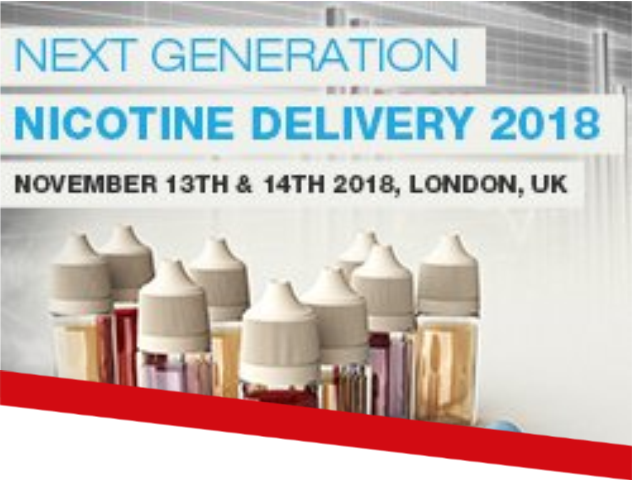 UKVIA representatives from PMI and JAC Vapour are among some of the leading next generation nicotine brands speaking the two-day conference in London from the 13th to 14th November. 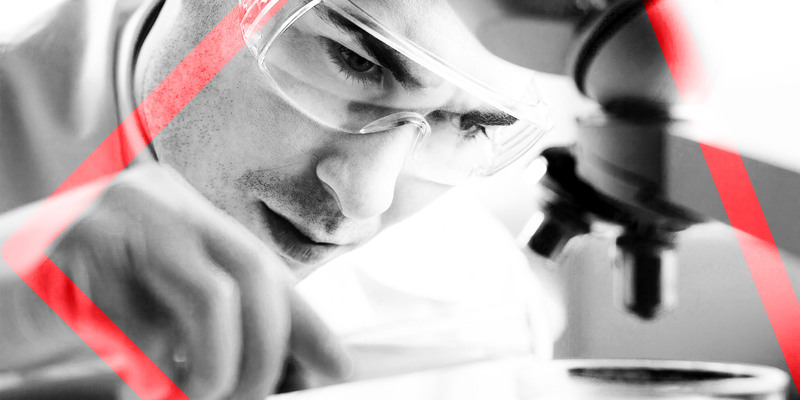 From understanding consumer demands and product standards, to evaluating the rise of CBD and status of international vape markets, the event aims to provide delegates with a valuable insight into the latest innovations in Next Generation Nicotine Delivery. Bringing together Europe-wide industry representatives, the conference will be an opportunity to join an international debate on vaping regulations and have your say on key topics like, Europe’s CBD market, the British Standards Institution (BSI) and the European Committee for Standardization (CEN). The impressive two-day agenda can be viewed here, with an exciting speaker line-up also available. Book your place at the Next Generation Nicotine Delivery Conference 2018 and join other key players in the vaping market at one of the biggest B2B events in the vaping calendar. New statistics show that smokers are hearing the vaping message. The latest survey published by Action on Smoking Health shows that UK smokers are heeding advice and choosing e-cigarettes as a safer alternative. Recent years have seen the number of UK vapers rise exponentially and latest figures from YouGov and Kings College London estimate that there are now a staggering 3.2 million vapers in the UK, nearly 4 times the 700,000 e-cigarette users recorded in 2012. Vaping is now widely understood to be one of the most effective methods of helping smokers quit and new evidence shows that over half of e-cigarette users have now quit smoking all together, with a further 40% in the process of switching. As the health benefits of vaping are increasingly accepted, the number of smokers who think vaping is less harmful than smoking is rising, from the 22% in 2017 to the current 27%. However, false perceptions of e-cigarette safety still persist and 22% of smokers continue to view vaping as equally harmful or worse than smoking. Despite the huge advancements made in public health by vaping, the industry still has significant work to do to ensure that UK smokers can access its life-changing benefits. Around a third of UK smokers admit they have never tried an e-cigarette, meaning that millions of smokers remain resistant to vaping in the UK. Concerns about addiction and safety were some of the top reasons given by smokers who do not use the safer nicotine products, when surveyed. Andrej Kuttruf, UKVIA board member said, “The latest statistics from ASH prove that as an industry, we are making fantastic progress in helping smokers quit and implementing a public health strategy for smoking with no cost to the tax payer.